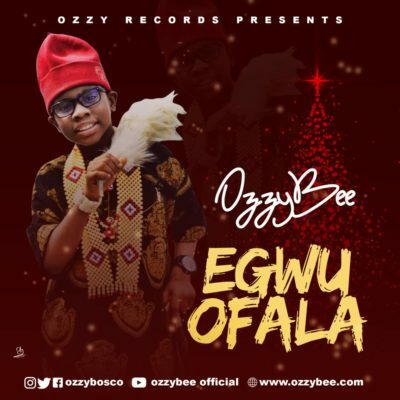 Fast-rising kid star, OzzyBee, is here with another single titled, “Egwu Ofala”, a tune made specially for the celebration of the fast approaching festive season. “Egwu Ofala” is an afro-indigenous infused Christmas Song which is produced by T’spize Beat for Ozzy Records, the song has loads of ginger for his eagerly awaiting fans during this season. Please Listen, Download and Share. Follow @ozzybosco on Twitter, Instagram and Facebook. “The Stop Child Cruelty”* Crooner, OzzyBee will be live on stage at the Nnewi Ofala festival blasting this masterpiece. BE THERE!! !